"This is a beautifully written and highly engaging book that tackles nothing less than the general global problem of energy. This question has been examined by many books and articles, both academic and more popular. What is extraordinary about this work is that it takes all of these issues and blends them smoothly into a cohesive, understandable single work. Any reader will put down The Powers That Be understanding how difficult the problems we face are, while also realizing that there is much hope that we will be able to substantially solve many of them. It is a timely voice of reason in our complicated, troubled world." 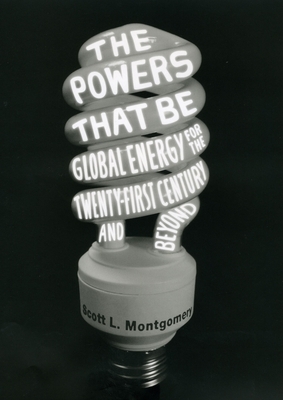 "Scott Montgomery has written a much-needed book about global energy for a general nonfiction audience. He approaches the issue with humanistic nuance and offers a refreshing voice of clarity and composure on this topic." "This exhaustive yet accessible look at the global energy supply weighs the future of fossil fuels and carefully considers the alternatives."